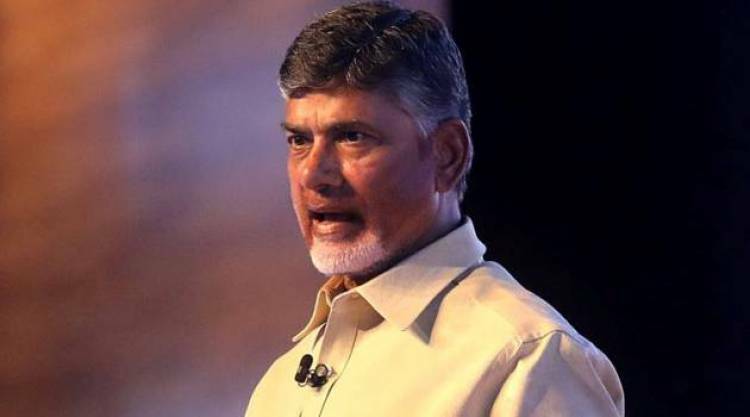 Amaravati: Andhra Pradesh Chief Minister N. Chandrababu Naidu on Saturday slammed the Centre for betraying the state even in its last budget. Reacting to the Interim Budget presented in Parliament on Friday, Naidu said it had no mention of Andhra Pradesh. "How will Rs 16 per day improve the conditions of farmers? Are you giving alms to them?" Naidu asked the Centre. According to TDP sources, Naidu said there was nothing for the common man in the Budget 2019-20. He pointed out that for reservation under the Economically Backward Class (EBC) quota, the income limit is Rs 8 lakh but the income tax ceiling is Rs 5 lakh. He claimed that there are many such contradictions in the budget. Naidu said the budget failed to address the issue of unemployment. Referring to a reported warning by China about rising unemployment in India, he blamed the Bharatiya Janata Party's wrong policies for the problem. Naidu claimed that his government had done well to address the issue of unemployment in the state by providing employment to 14 lakh people during the last four-and-half years. Hundreds of people were employed in Kia Motors plant alone, he said. The TDP chief said Friday would go down in the history of the state legislature as 100 MLAs wore black shirts to protest against the Centre's "unjust" attitude towards the state. The TDP MPs too staged a 'dharna' in New Delhi by wearing black shirts. He noted that the day-long shutdown in the state was also successful on Friday.